The Trump Tower meeting in June of 2016 with Russian lawyer, Natalia Veselnitskaya, was initiated by Rob Goldstone. Goldstone was publicist for Oligarch and pop singer, Emin Agalarov, at the time, and was asked by Agalarov to contact the Trump campaign and let them know a Russian lawyer wanted to meet with them. Goldstone emailed Donald Trump Jr. but embellished the truth to make his request more attractive. Goldstone told Trump Jr that the Crown Prosecutor of Russia had incriminating information on Hillary Clinton and wanted to give it to the Trump Campaign as a show of support. Trump Jr. was interested and called Emin which led to a meeting. When the Trump Tower meeting was made public, that simple email generated Goldstone a lot of attention and he spent a lot of time being questioned, which he did voluntarily. Goldstone was also present when Emin Agalarov pitched the idea of holding Miss Universe 2013 in Moscow. He was also with Trump when the pageant was held and verifies that Trump was in Moscow for three days. 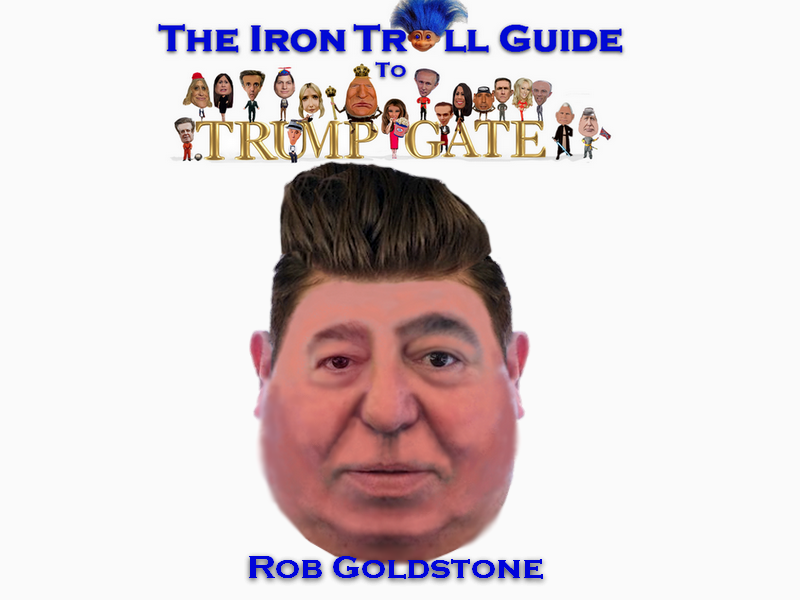 Goldstone's version of events will be released on Tuesday, September 25th in an ebook entitled Pop Stars, Pageants and Presidents: How an Email Trumped My Life. Goldstone gave an interview to the Wall Street Journal, and IMHO seemed credible and truthful, a rarity amongst those involved in TrumpGate. Trumpgate Role: Contacted Donald Trump Jr to arrange a meeting.